My professional path – copywriting – somehow intertwines with my unprofessional (hahaha) path – writing so I would recommend reading literature for both. Somehow reading and writing are two ways of doing the same thing: storytelling (even when you read you tell yourself a story in your own voice, bringing your personal emotion and empathy to the story you’re reading). The only difference is that when I’m reading, panic is far away from me, in a safe place. Nevertheless, the words below helped me rewrite and think twice before adding an exclamation point: On Writing by Stephen King. I read a bunch of books on writing before I wrote my first book and the two that stuck with me were Stephen King’s book and “On Writing Well” by Zinsser (which is a bit on the technical side). If you are interested in writing and communication, start with reading and understanding the technical aspects of the craft: The Elements of Style. On Writing Well. On Writing: A Memoir of the Craft. These three books were very inspirational and broke down their way of creating in a way that was genuine and honest while still making me feel like I could be a writer. 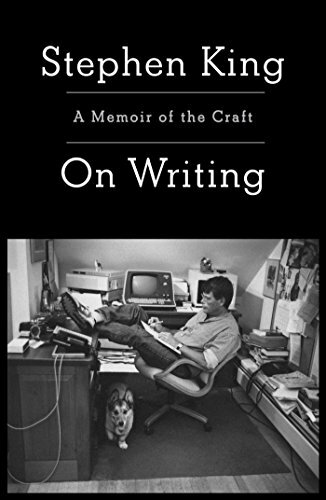 Immensely helpful and illuminating to any aspiring writer, this special edition of Stephen King’s critically lauded, million-copy bestseller shares the experiences, habits, and convictions that have shaped him and his work. “Long live the King” hailed Entertainment Weekly upon publication of Stephen King’s On Writing.